For the first time in history WA will host the ANDRA Summit Sportsman Series Grand Final for the 2018-2019 Season. SATURDAY RACING 10:00AM UNTIL 9:00PM Approx. SUNDAY RACING 10:00AM UNTIL 6:00PM Approx. ** More accurate schedule times will be know closer to date. 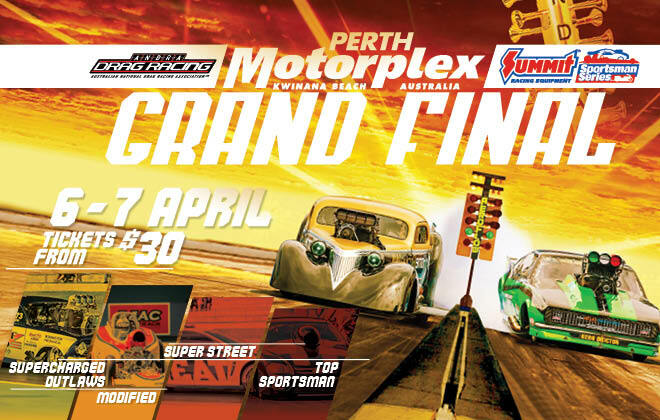 What a way to finish off the 2018-2019 Drag Racing season with the coveted ANDRA Summit Sportsman Series Grand Final right here at Perth Motorplex! this is the first time ever the series has had it’s Grand Final run in WA and with hundreds of racers hungry for the National Gold Christmas Tree we will have racers from all over the country converging on the Perth Motorplex. With a full field of Doorslammers in the Summer Slam Series running head to head over the two days and then there is those Nitro Guzzling 2 wheeled machines with WA’s Mark Drew heading the Harley charge while Jay Upton is steadily creeping up on his new combo and ready to take on all comers. 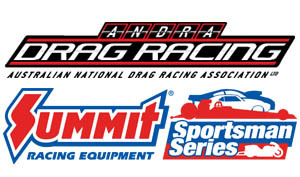 This is the Grand Final of the WA Drag Racing Championships as well the Grand Final of the ANDRA Summit Racing Equipment Sportsman Series that also attracts the best Sportsman racers from around the country to WA.